萊特幣台灣礦池 Litecoin.tw: Litecoin 迎來第一次減半. 50 LTC -> 25 LTC 如果價值維持低迷, 挖礦將開始出現退場潮. Litecoin 迎來第一次減半. 50 LTC -> 25 LTC 如果價值維持低迷, 挖礦將開始出現退場潮. Litecoin, often referred to as the “silver to Bitcoin’s gold” was one of the first innovative altcoins with its introduction of the scrypt hashing algorithm to make mining fairer. However in recent years, opinions have been divided as to whether Litecoin is bringing anything new to the table or just riding the coattails of Bitcoin. There are plenty of room for discussion, but one thing has to be said: Litecoin has been holding strong for four years now, and it looks like it will continue for many years to come. On 25 August 2015, Litecoin will go through a big milestone where its block reward will halve, from 50 LTC to 25 LTC. Litecoin enthusiasts hope to see a major price increase take place from this day forward, even though the Litecoin Association stresses that the Litecoin price is not paramount to what the virtual currency is trying to achieve. Litecoin, just like Bitcoin, offers a plethora of new tools and innovative technology to revolutionize the world as we know it. The financial aspect is a major part of Litecoin and its technology, yet the possibilities have far wider implications. That being said, the Litecoin block halving remains an important milestone in the history of this altcoin, as fewer coins will be generated on a daily basis. Unlike fiat currencies, where additional money can be printed at the whims of central banks, Litecoin and other virtual currencies rely on miners to bring additional coins in circulation. With block rewards halving at regular intervals, the total amount of LTC will be increasing at a slower pace, without devaluing the existing coin supply. Despite using a different hashing algorithm, both Litecoin and Bitcoin show a lot of similarities; after all, Litecoin is a fork of Bitcoin. 7 October 2011 was an important day in the history of Litecoin as this was the day when the genesis block was mined. On October 23rd, Litecoin was officially released to the public on the Bitcointalk forum. 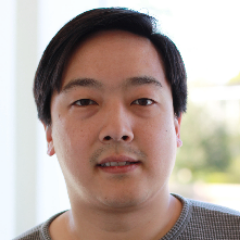 A total of three blocks had been pre-mined by Litecoin developer Charlie Lee, to ensure the network was stable. Charlie made a decision to pre-announce Litecoin nearly a week before the actual release so that more users would be aware of the launch. This pre-announcement ensured a fair launch and distribution of coins, something that was greatly appreciated by the virtual currency community back then. While many people doubted the potential of Litecoin at that time, the virtual currency has achieved global adoption and widespread acceptance in its four years of existence. Litecoin is listed on nearly every cryptocurrency exchange in the world and is an alternative payment method on platforms such as eGifter, BTCTrip, CheapAir.com and also payment processors such as GoCoin. Similar to the Bitcoin network, Litecoin has a lot of computational power dedicated to finding new blocks, confirming transactions and securing the network. A major milestone was reached in October 2014 when the Litecoin network surpassed one terahash of mining power. To put things into perspective, Litecoin is one of the very few virtual currencies to surpass that goal, which goes to show there is a healthy interest in what Litecoin has to offer. All of this has translated to Litecoin holding the second largest market capitalization and an overall ranking of #2 on CoinGecko. At the time of writing, Litecoin’s market capitalization is over US$144,753,337.61. Litecoin has consistently also showed that it has one of the strongest altcoin community, coming in only behind Bitcoin and Dogecoin when measured in terms of Facebook, Twitter and Reddit activity. Its developers have also been hard at work improving the source code judging from its Github activity.